Located at the top of the site, the menu will allow visitors to access the main pages of your site. In the back office, the settings icon is always visible to the left of the first page in the menu. 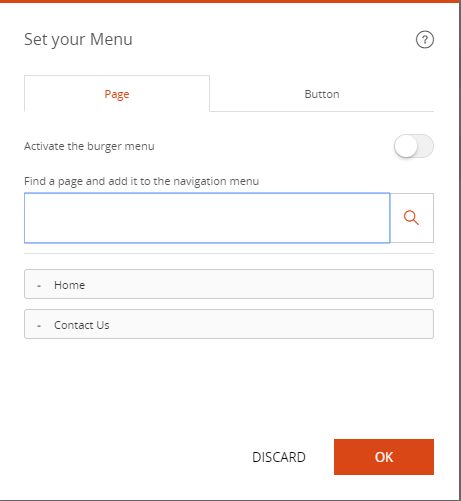 Here you can add pages to the menu. The order in which the pages appear can be changed. Drag the tab of the page and drop it below or above other pages. Pages can be removed from the menu but this doesn’t mean that the page has been deleted. A page can be added, removed and added later without any effective deletion. 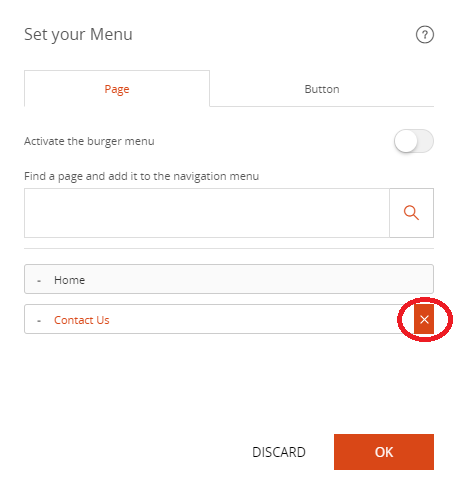 A button can be added to the right of the navigation bar. In this pop in, you can enter the button's title that will be displayed in the navigation bar. You alson need to add a URL to wich the button will be pointing. WIth the "Open in new window" option the page can be opened in a separate window. There are also other disign options available like setting fonts, colour of the button and its form. 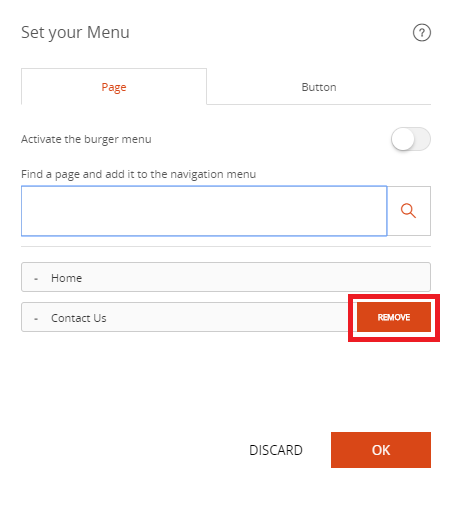 The navigation menu is essential to highlight the main sections of your website.